I found the coolest online inspiration board! The Kate Spade website has “30 Days of Outfits,” which offers a unique and adorable look for one summer month. It gives you the option of purchasing all the items or simply one of them on the page. 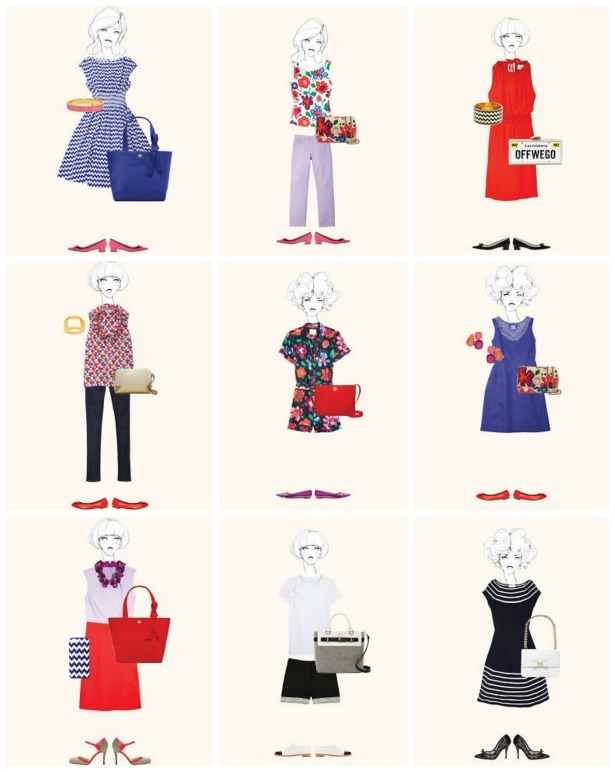 I love Kate Spade and I’m loving this look book! Don’t like any of the looks? Swap out similarly colored items or a similar silhouette–easy! Thanks for the easy shopping Kate Spade!